On April 7, 2011 the Co-Sleeper® Infant Bed-Side Sleepers have been recalled by Health Canada. This recall involves all models of Original and Universal Co-Sleeper® brand bed-side sleepers by Arm's Reach Concepts Inc. One side of the bed-side sleepers is lower than the others to allow positioning near a bed and access to the infant for care and feeding. There are two designs for the bed-side sleepers with a date of manufacture between September 1997 and December 2001, or 2002 to 2008. All designs and models of Original and Universal Co-Sleeper® brand bed-side sleepers are included in this recall. These products do not meet the minimum side height requirement for cribs established by the Regulations. The corner posts extend more than 3 mm (1/8 in) above the highest side. 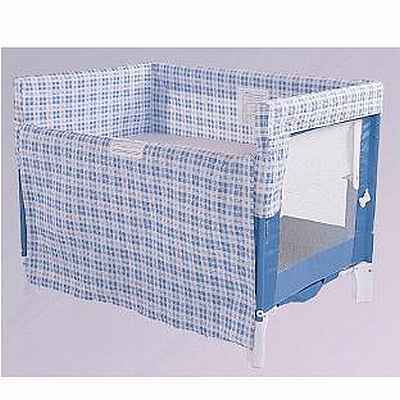 In addition, for models manufactured between 1997 and 2001, if the fabric liner is not used or is not securely attached, infants can fall from the raised mattress into the loose fabric at the bottom of the bed-side sleeper or can become entrapped between the edge of the mattress and the side of the sleeper. This poses a risk of suffocation. At time of the recall Health Canada has not received any reports of incidents or injuries related to the use of these bed-side sleepers in Canada. You should immediately stop using the recalled bed-side sleepers. The requirements for this product in Canada are different than in the United States. Therefore, the corrective measures offered in the United States cannot bring this product into compliance in Canada. For more information, consumers may contact Arm's Reach at 1-800-954-9353 between 10 a.m. and 7 p.m. ET, Monday through Friday, or visit the firm's website. Approximately 1,100 of the recalled bed-side sleepers were sold between 1997 and 2001 in Canada. An additional 800 of the recalled bed-side sleepers with a different design were sold between 2001 and 2008. The recalled products were sold from 1997 to 2008 at childrens specialty stores across Canada and through direct sales from the company's website. These bed side sleepers were made in China. The manufacturer is Arm's Reach Concepts Inc., of Oxnard, California.